The spending lavished on Defence projects to meet the risks that could maybe, possibly, theoretically face New Zealand in future is breath-taking, given how successive governments have been reluctant to spend even a fraction of those amounts on the nation’s actual social needs. That’s why it has been so depressing to see the Ardern government gearing up to pay for another blow-out in the cost of upgrading our ageing fleet of frigates, even though these clunkers are due for replacement entirely – at further massive cost – within ten years. 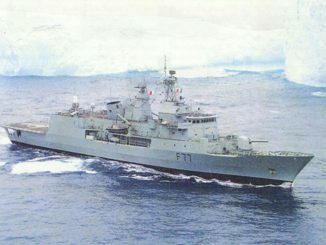 When signed off by the Clark government back in 2008, the upgrade of the frigates was budgeted at $374 million. By June 2016, the cost had risen to $472 million and delays had pushed the completion back by 13 months, to March 2019. The Ardern government is facing a bill of $639 million, for a likely completion date in 2020 – but don’t hold your breath. The cost of the over-runs alone would utterly transform our mental health services, or DHB finances, or special needs education, or the operational grants in the public education system. And the frigates are only part of the picture. We’re also looking at spending at least $1.5 billion on replacing the P-3 Orions. In February 2016, Werewolf broke the story about the looming Defence spending bonanza, then estimated by Jane’s Defence weekly magazine at $11 billion. We’ve since learned that a $20 billion spend is envisaged, spread over the next 20 years. The shopping list includes new frigates, new cargo planes to replace the C-130 Hercules and new surveillance aircraft to replace the Orions. As I pointed out last year, even the Defence Force couldn’t come up with a credible threat to justify spending such colossal amounts. Para 66. New Zealand does not presently face a direct threat of physical invasion and occupation of New Zealand territory. The likelihood of such a threat to the Cook Islands, Niue, Tokelau and territory over which we have a sovereign claim, emerging before 2040 is judged to be very low, and would be preceded by significant change to the international security environment. New Zealand could therefore expect to have a reasonable amount of time to re-orientate its defence priorities should this be necessary. Although there is no direct threat to our territorial integrity, New Zealand faces a range of other threats from state and non-state actors, including cyber threats and terrorism. Now… I may be a bit slow on the uptake here, but I’m having trouble figuring out how a brand new batch of frigates or cargo planes or spotter planes will help to defend us from the Defence Force prioritisation of (a) cyber threats or (b) terrorists at home, or abroad. Even if they could defend us from such horrors – and they can’t – is it very difficult to regard hackers and jihadists and fishing zone predators as posing so deadly a threat to our national security as to justify us spending $11 billion of allegedly scarce funds, on combatting them. It looks more like the Defence Force is simply rolling over its current force structure, and plucking off the shelf the next generation of gear to fulfil roles that belong to the Cold War era, 30 years ago or more. All of that remains true. As things stand, the new Defence Minister Ron Mark seems willing to pay whatever price the Canadian contractor Lockheed Martin chooses to put on its invoice for the frigates refit. And to repeat : this is a refit expected to see operational service for less than a decade, given that the frigates fleet has been budgeted for replacement by new ships. A key question for Mark (beyond why we’re doing this at all) is whether the weapons and sensor upgrades that we plan on installing at such vast expense in the old boats, will be transferable to the new ships. If they’re not, we’re pouring a huge amount of money down a hole. Jacinda Ardern needs to stop this immensely wasteful process in its tracks. Surely, children in need should rate with her as a higher priority than our ability to participate in military war games with spanking new gear. Defence Minister Gerry Brownlee told the committee the government is committed to the project because it is a capability it wants the Defence Force to have. Having lost Alabama, will the Republicans rush off into a vote on their controversial tax bill, before newly elected Democrat Doug Jones can take his seat in the Senate? Keep in mind that the GOP blocked Barack Obama’s appointment to the Supreme Court (until after the 2016 presidential election) so that allegedly, “the people’s voice could be heard” about Obama’s judicial choice. Chances are this time, the GOP will try to push this vote before the peoples’ choice in Alabama can take part. At the very least, the Alabama result will put incredible pressure on wavering Republican mavericks like Susan Collins of Maine, who can now just about name any price she wants from the White House, in return for her support. Buy shares in Maine’s lobster industry right now. As for Roy Moore… while media attention has focussed on the sexual allegations about him, the polls between Moore and Jones were reportedly already pretty close (only three points apart) even before the Washington Post dropped its bombshell story on November 9 about Moore’s predatory behaviour towards young girls. This was really creepy, too. In any case, as Matt Yglesias has pointed out, the GOP would be mistaken to conclude that it lost Alabama purely because it had the bad luck to nominate someone later found to prey on teenage girls. Sure, Moore was a really poor candidate. Yet as Yglesias says, the entire Republican agenda is now very unpopular. Its tax bill is unpopular; its changes to health care is unpopular; and its President is toxically unpopular, at an historically unprecedented level at this point of a new administration. In defeating Moore, the unexpectedly high turnout among black voters proved crucial, and seemed more like the days of Barack Obama than in last year’s presidential election. That turnout is even more impressive, given the barriers faced by black voters in Alabama are immense. Alabama was one of the collection of Southern states that either passed or began enforcing new voter ID laws after the requirement for federal pre-clearance was effectively made null. In Alabama… officials have steadfastly refused to implement the kind of reforms that have continued the work of the Voting Rights Act and continually expanded black turnout over the years. Early voting, which has been a key factor for other states in increasing black turnout, is not permitted in Alabama. The state also doesn’t have no-fault absentee voting, pre-registration for teens, or same-day registration. In all, it’s harder to vote in Alabama than just about anywhere else, a dynamic that should tend towards cooling the turnout of people who’ve only been allowed to vote in the state for 50 years. Against all these odds, the black vote did come out in force. It wouldn’t have hurt his appeal to black voters that Doug Jones made his name by mounting a successful prosecution in the 1990s against the Ku Klux Klan members responsible for the infamous bombing of a Birmingham, Alabama church in the 1960s, that had killed four young black children. Jones didn’t forget those little girls. This week, the black community didn’t forget him. Staying in the South… I forgot to link to this story last week, but since its one of the few “good news” stories to emerge from the US during 2017, it can bear some repetition. In brief, Dolly Parton used her wealth and her celebrity clout to channel money to nearly 1,000 poor families who had been hit earlier this year by fires in a nearby Tennessee county. It was (a) a great example of a celebrity using their wealth and connections to help out those in need and also (b) an unintended pilot case of how a Universal Basic Income can best be structured. Enter Dolly Parton, who, within 48 hours of the fires had mobilized the considerable force of her empire, including many businesses and the philanthropic Dollywood Foundation, to provide cash assistance to families impacted in her native Sevier County. Over the next six months, the My People’s Fund distributed $9 million in cash to nearly 1000 families who had lost their homes. The way the checks were structured will sound familiar to any student of basic income; each family received a monthly check for $1000 for six months, with a final check for $5000 in May of this year. In a new study out this month from the University of Tennessee, researchers devised a survey to gather information from participants in this unlikely pilot. What they found was that when asked what kind of support was most helpful in the wake of the fires, 11% of respondents said emotional support, 27% said item donations, and a strong majority of 62% said that the cash assistance they received from the fund was most helpful. In other words… a UBI normally conceived of as a tool to counter income inequality or chronic unemployment, can also serve as a useful safety net when disaster strikes. Also worthy of note: on the evidence of the Parton project, cash in hand is the best means of aid, especially because those hit the hardest, are those least likely to be covered by insurance. With all that in mind, here’s one of Dolly Parton’s finest musical gifts, in unison with Chet Atkins. And here’s the sad, sad song she wrote at age 18, and chose as the unlikely final encore for her Auckland concert in the early 1980s.